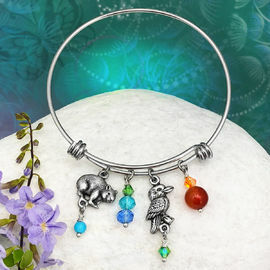 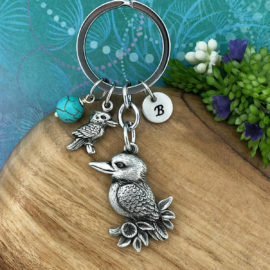 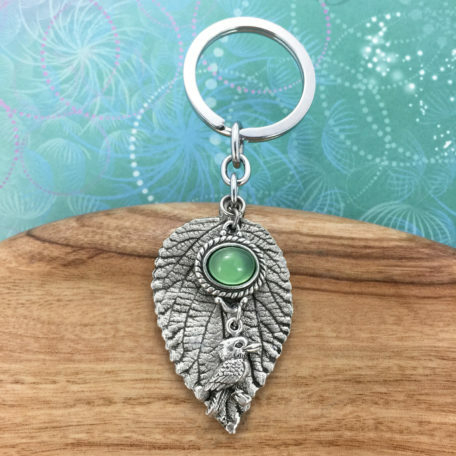 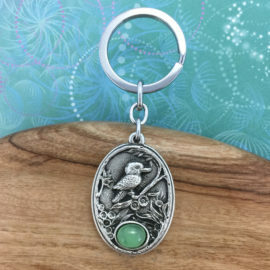 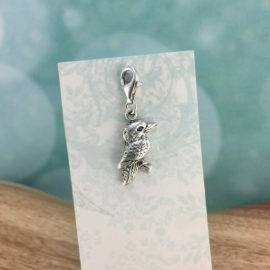 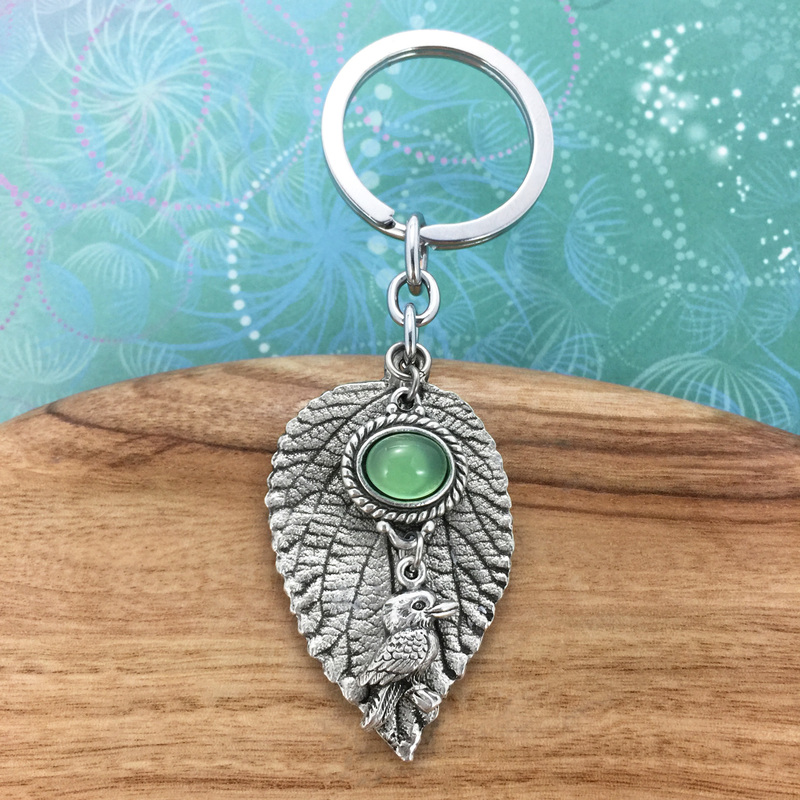 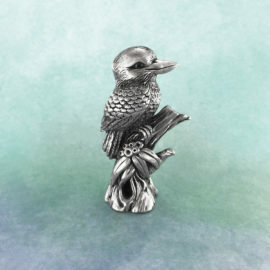 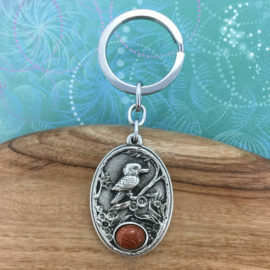 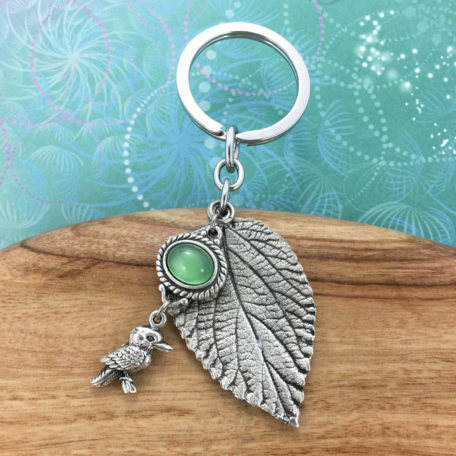 Intricately detailed kookaburra charm keyring and green agate cabochon with beautiful natural pewter leaf. 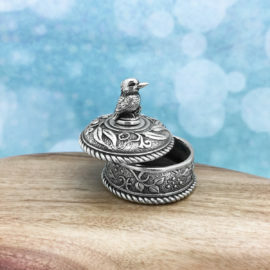 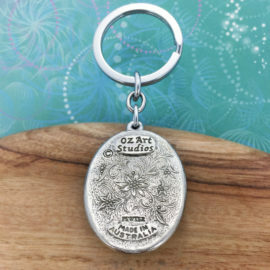 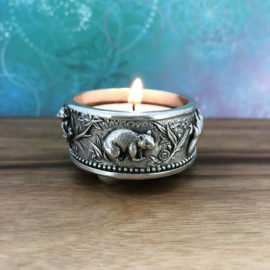 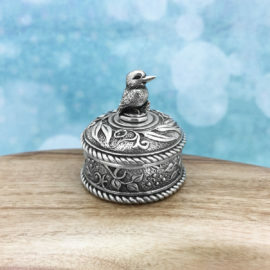 Made in Australia out of the finest lead-and-nickel-free pewter. 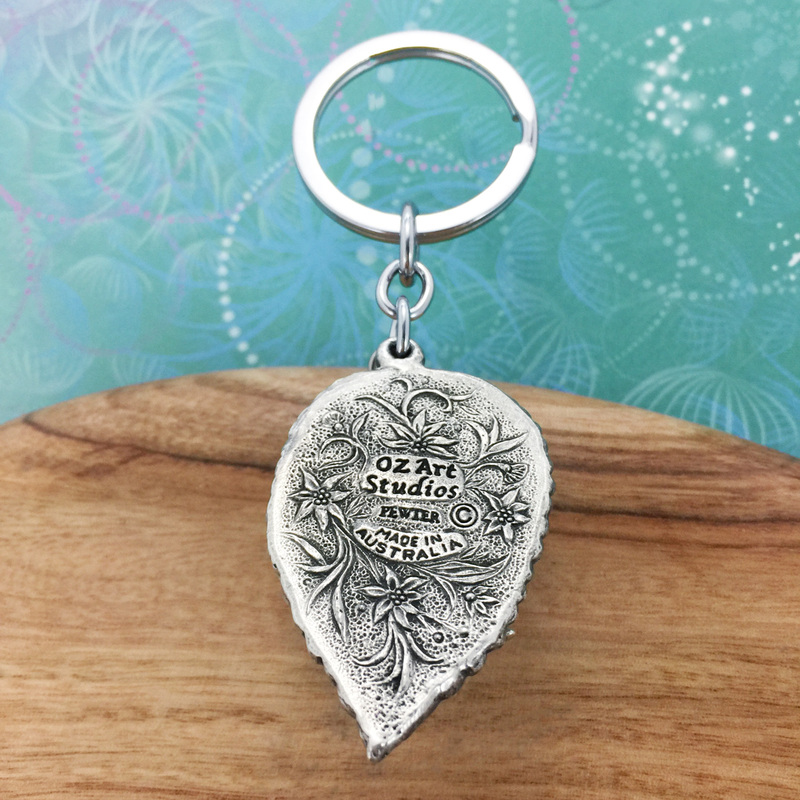 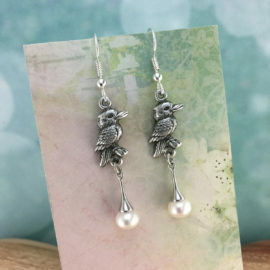 Entire length: 9cm.